Reading and writing are the basic tools of modern living, and helping your child to read and write gives the best of all starts in life. 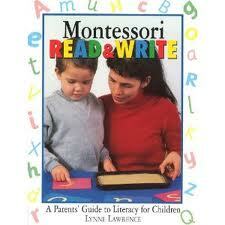 Using the Montessori Method guarantees not only that your child will learn, but that he or she will enjoy learning. One of the most important pioneers in the area of child development, Maria Montessori opened the first Children’s House in Rome in 1907. Today, there is a network of Montessori schools around the world. This text makes the acclaimed methods used in those schools available to all parents who wish to give their child the best possible start on the road to reading and writing. There are sections on how to create an environment which gives the best chance for language to flourish, the first steps towards reading and writing, and learning to write the letters. This book contains age-graded games and activities to aid learning, and has a resources section designed to be appropriate for different geographical regions and/or languages. It includes a reading list, resources list and suggestion for scripts. A practical, accessible guide for parents on teaching their children to read, using the methods pioneered by Maria Montessori in the early 1900s. It’s very simple and a lot of fun.For children under three year it is best when all the ingredients are pre-measured and put in little plastic beakers. It facilitates the pouring into the larger bowl. With older children, you can measure with them. Ideal is to have all prepared on a little table, so any action the child will do is easy for them. All ingredients are purred into a large bowl. Cover the bowl with a large cloth and let rest for at least one hour. After you put it in the oven for one hour…DONE!